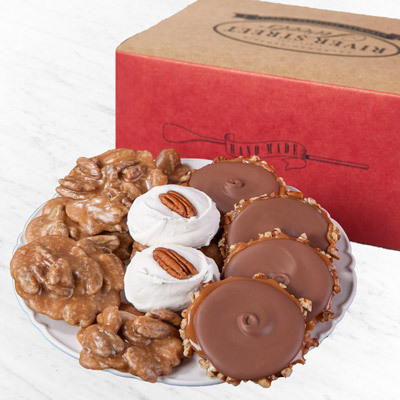 Dubbed "the Southern candy," our divinity is, well, simply divine! 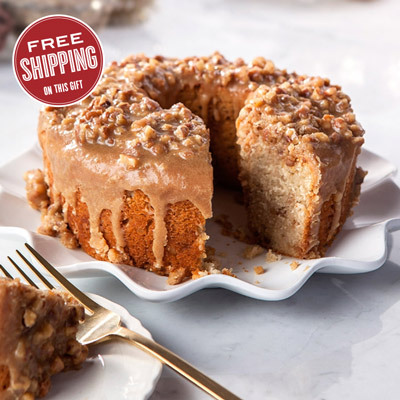 This classic, old fashioned favorite is handmade using farm fresh egg whites and sugar, whipped to perfection, then topped with a single Georgia pecan. New recipe! This candy is so amazing everything is delicious!!!! 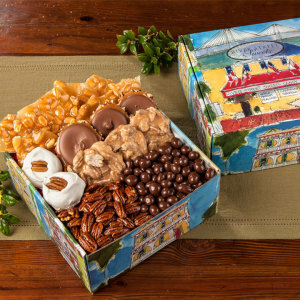 I sent my Mother the Divinity and Pecans and she absolutely loved her gift! 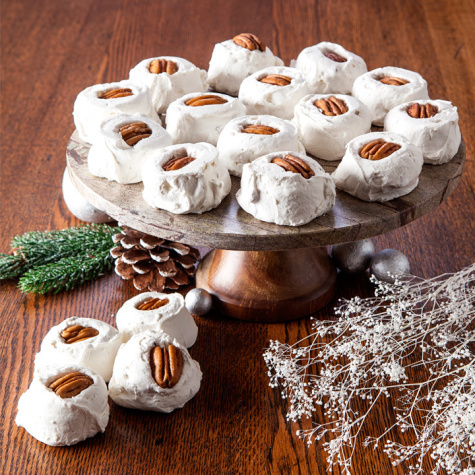 She keeps raving how fresh the Divinity is and how delicious the Pecans and Divinity are. Thank you! These candies we melt in your mouth delicious. Great gift for others as well as a gift for yourself. Fresh products and speedy delivery. Great treat for our family. This divinity is the closest I have found to the divinity my mother made. My wife had me send a package of Divinity for her Mom for her birthday. She used to make them herself, but does not have the desire to anymore at 90 years of age. When it arrived in Cleveland, the box put a big smile on her face as she had a sample once before. Helped make a great birthday for her!